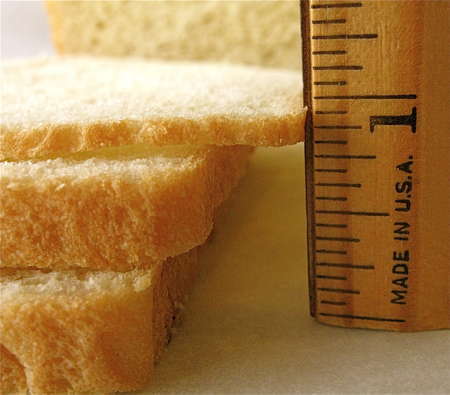 How many recipes do you know where you can cut the loaf into whisper-thin (1/8”) slices, without it crumbling? Not many, I’d wager. Place the ingredients in your bread machine in the order recommended by the manufacturer, and program the machine for white or basic bread, or for the dough cycle. Press Start. If you're using the dough cycle, after the cycle is complete, allow the dough to continue to rise in the machine until it has really doubled in bulk. Remove the dough, shape it into a loaf, and place it in an 9" x 5" loaf pan. Let it rise until almost doubled. Bake the bread in a preheated 350°F oven for 35 to 40 minutes. Until an instant-read thermometer inserted into the center will read 195°F to 200°F.